We at Veritrans offer several compensation packages for both individuals and/ or organizations that are either new to the industry or currently work in electronic payments processing. Talk to us to find out how partnering with a company that has a solid reputation can create new levels of merchant loyalty and improve your business’s bottom line. You cannot find a provider in this industry, with a better customer service record. 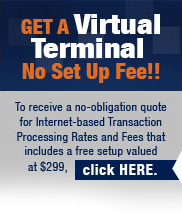 At Veritrans, we’ll do everything, you can take the credit! If you would like to contact us by email us at salesreps@veritransllc.com with “Sales Job”. as the Subject line. In the body please put your contact information.